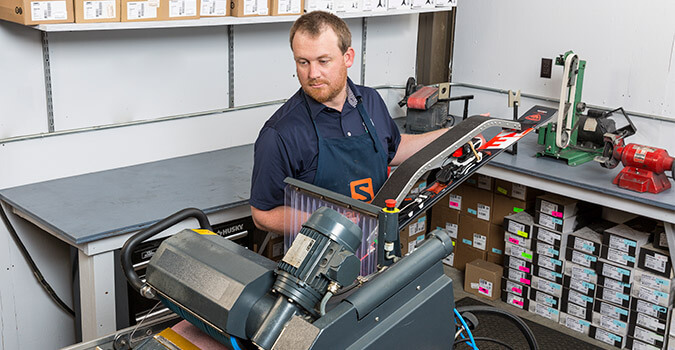 Expert certified technicians are on hand in each of our four superstores to meet your ski and snowboard tuning and repair needs. We offer binding installation for alpine skis, cross-country skis and snowboards, as well as binding adjustments and release checks. Choose from the following tune options to get your skis or snowboard ready for the season or to keep them in peak condition throughout the year. Our ski and snowboard repair shops are open from mid-October to mid-April. Excessive base repair will result in an additional charge. Members of our All-Star Rewards program enjoy a 50% discount on all deluxe stone grind and junior ski and snowboard tunes. That’s right…..half price tunes all season long!